Throughout Haliburton County we find every shape and size of Inukshuk. It’s something people do when they find a pile of rocks, begging to be born as a voice in the wild. We know people have been at the location and that they have had a special, creative moment. 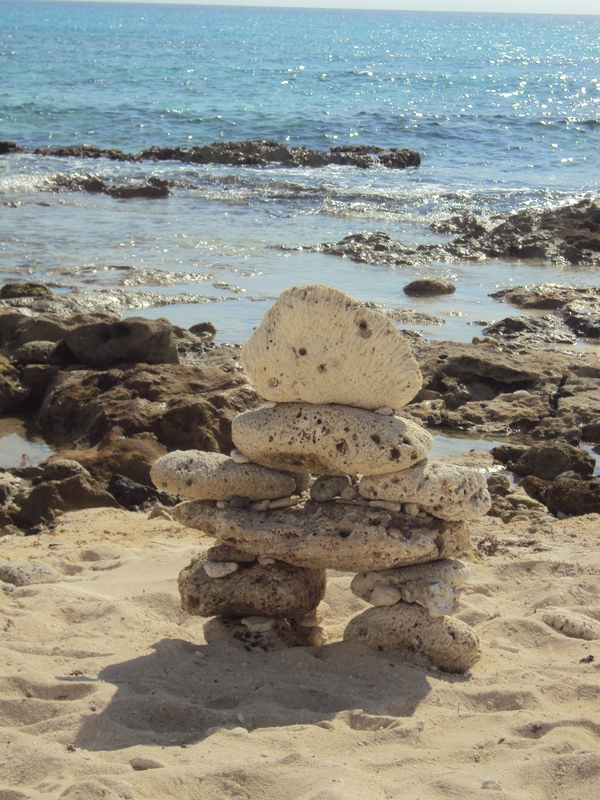 When you discover an Inukshuk in places other than Canada, there is a different and secret message. For example, this assembly of broken coral, stone and shells is speaking two messages. First, it signals to Canuks walking the sands that WE ARE HERE and WE KNOW YOU KNOW. There is a comfort finding that there are compatriots who understand this secret message. In the second place, it says, to those who do not know, that this “funny little creature” is simply an adornment on the beach. Those people will look at it and wonder, “hmmmm, is there some symbolic meaning?” Heh, heh, heh. Isn’t it wonderful to know something that most of the world doesn’t know! The third message is quite simply …. JANE WAS HERE. Next Next post: Looking for a Hornet’s Nest!